* Venue change in Prague on Nov. 27th to “Futurum” (Where we last played in 2002 with Cannibal Corpse…time flies!). Please notice that our tour hooks up with the Dark Tranquillity / Tristania tour that night, so it will be more bands and more fun. Looking forward to seeing our buddies in DT too! * A show in Slovenia at Ljubljana’s “Channel Zero” venue was added to the tour. Always excited to play for our friends in Slovenia…see you around! Please spread the word and help us make those a great success for everyone! DEW-SCENTED – Working on new album; Japan Tour; Supporting Sacred Reich! 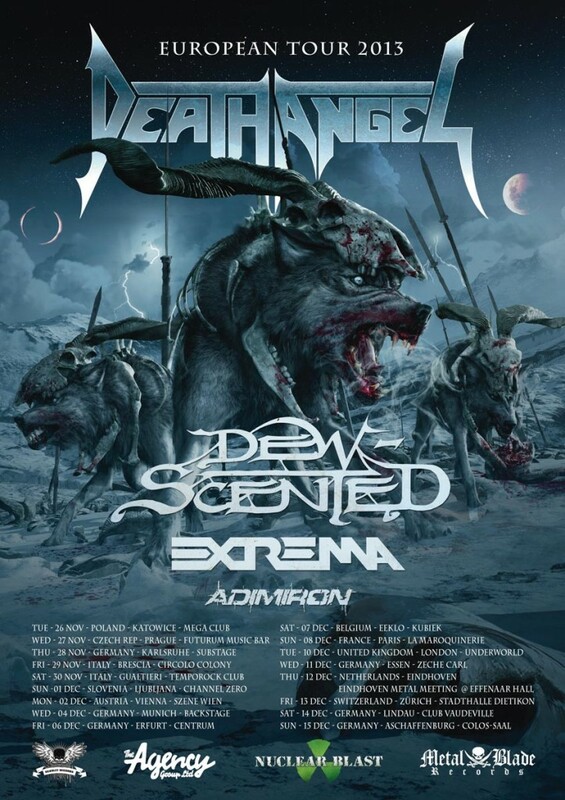 DEW-SCENTED – Announce European Tour with Death Angel!